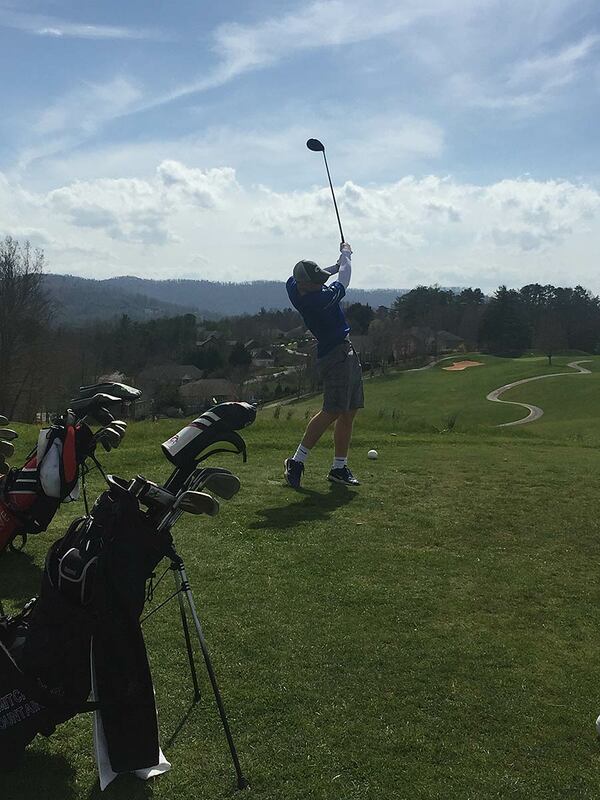 Dillon Overholt fired a 79 Monday to lead Polk County to an easy win over Mountain Heritage in a dual team golf match at Tryon Country Club. Overholt birdied his final hole of the day to post his 79 and help the Wolverines notch a team score of 376, well ahead of the 433 posted by Mountain Heritage. Carson Emory added a 95 for the Wolverines, with Hunter Lynch firing a 100 and Nick Wilson a 102 on a cool and wet day at TCC. Trey Thompson, Blake Rackley, Max Zinn and Grant Waddell also competed for Polk County. The Wolverines are scheduled to compete Thursday at Mount Mitchell Golf Course before taking part in the Western Highlands Conference tournament on April 17 and April 19.